Need more propane than a one-pound tank? This 5-ft Bulk Tank Hose Adapter will attach a bulk propane tank to a portable propane tank fitting. Perfect for attaching your Mountain Series camp stove or any other disposable bottle appliance to a bulk propane tank. Pick up a propane tank adapter and make cooking easier. Need more propane than a one-pound tank? 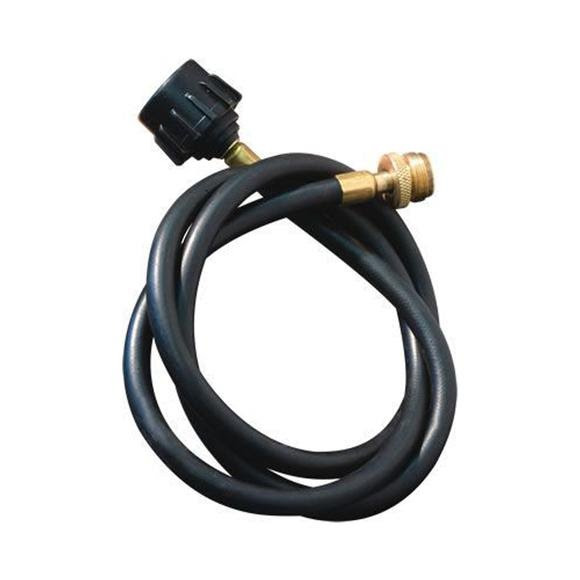 This 5-ft Bulk Tank Hose Adapter will attach a bulk propane tank to a portable propane tank fitting. Perfect for attaching your Mountain Series camp stove or any other disposable bottle appliance to a bulk propane tank. Pick up a propane tank adapter and make cooking easier. You wonÕt have to worry about swapping out propane bottles every trip thanks to this hose.